Kebab is a classic Persian food and Iranians, Indians as well as the Punjabis would love to have this satisfying street snack regularly. 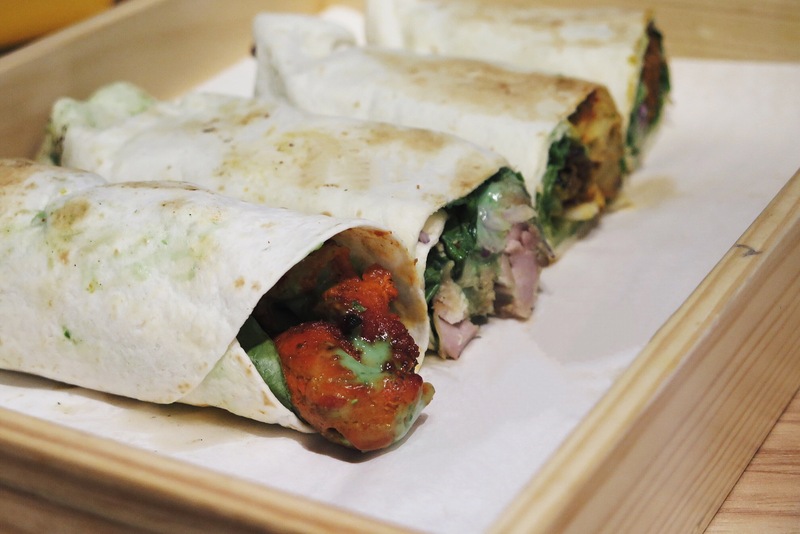 The good folks from the newly opened Roll Up eatery at Circular Road give customers the enjoyment of eating piping hot kebab straight from their charcoal tandoor, and rolled to perfection. The menu at Roll Up is pretty straightforward, currently only five choice kebabs, namely; Pistol & Mortar, Mughal Mutton, Creme Poulet, Fish-Ti-Cuffs and Mashbox76 which is the only vegetable kebab. Prices aren’t painful, especially taking into consideration of the neighbourhood. All kebab rolls are priced at $11, except for the Mughal Mutton at $13. All nett and do not include any service charge and GST. 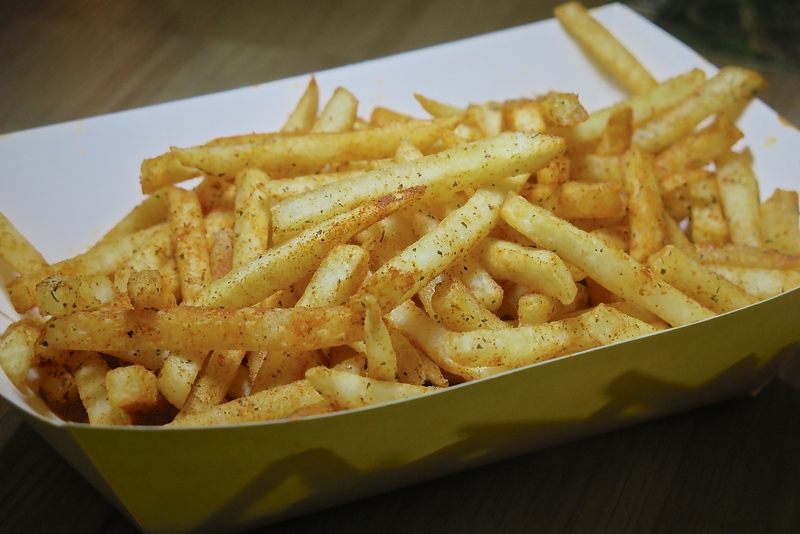 Upgrade to the combo for $3 which include a choice of soft drink and the Masala Fries. All the kebab rolls are made fresh upon order, then hand-rolled in a soft flour wrap and served with house-made mint sauce. I personally love the traditional Mutton Seekh Kebab the most; made from minced lamb that wasn’t gamey at all, and was properly infused with Mughlai recipe and house spices. Second to it, was the Fish Tikka Kebab, featuring generous chunks of fish meat marinated in yogurt based mix of zesty flavours. This probably would be a hit for every fish lovers. For those who prefer Chicken Tikka, it comes in two versions – one with a yogurt-cheese based marinade (Malai) of Indian herbs, while the other gives you a fiery kick from the spicy blend of Indian spices. 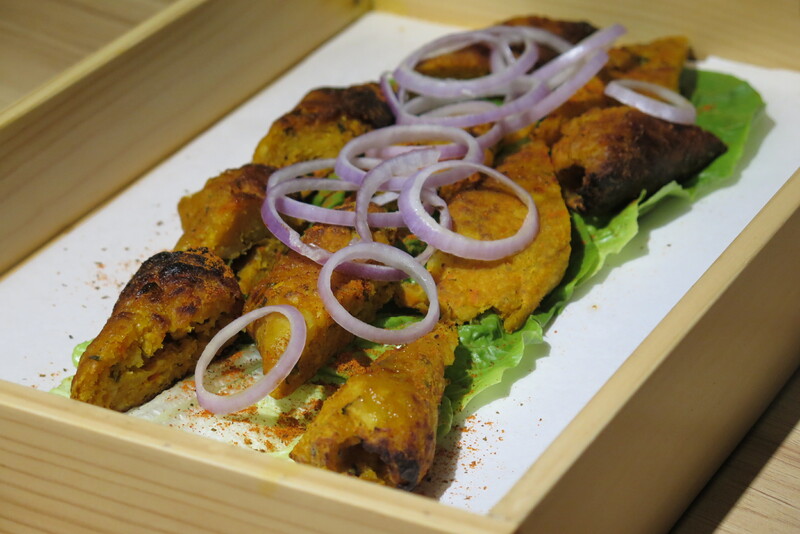 The only Vegetable Kebab is made in a traditional seekh kebab style, combining herbs and spices in a flavourful blend of vegetables and mash. I actually like this vegetable kebab, perhaps because I am a big fan of potato. The picture below is a special a la carte order, which does not include the wrap. If kebab rolls are not your kind of food, perhaps the ones at Roll Up might just change your mind. The interplay of flavours in the roll ups makes them quite unforgettable, simply go try the kebab rolls and you’ll get my point.